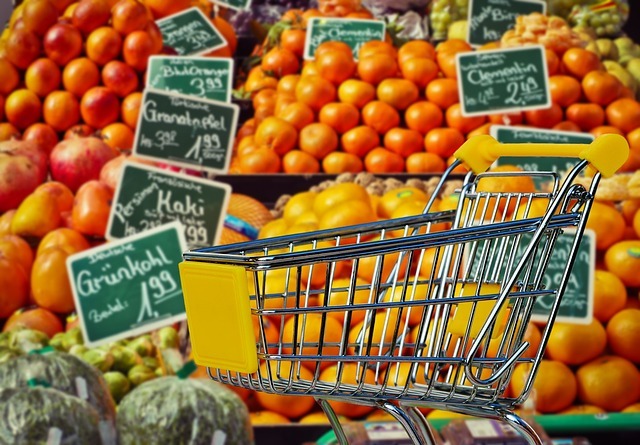 In this Spanish lesson we will practice how to manage in Spanish when buying food in a shop or market. As usual, first we will review some relevant grammar and vocabulary and then see if you can follow a short listening. Dime: Tell me. Shopkeepers might say this when they are ready for your order. Now, play the audio to listen to a conversation in a fruit shop. Can you understand what they are saying? Play the audio a few times before you look at the transcript. Don’t worry if you don’t understand every single thing the two people are saying. Try to catch whichever words you can and then try to piece things together to work out what is being said. Jack: Quería un kilo de manzanas. Tendera: Un kilo de manzanas. ¿Rojas o verdes? Tendera: Sí, tengo tomates cherry y tomates grandes también. Jack: Pues un cuarto de kilo de tomates cherry. Tendera: Bien. Un cuarto de kilo de tomates cherry. ¿algo más? Tendera: ¿Para zumo o para comer? Tendera: Vale.Tengo bolsas de dos kilos.¿Cuántas quieres? Tendera: Muy bien. ¿Algo más? Jack: No, nada más. ¿Cuánto es? Tendera: Son cinco euros con cincuenta.